Provide and install the piping systems, HVAC, and plumbing for the new Bio-diesel facility producing 30 million gallons a year from soy oil and other natural fats. The new plant is owned and operated by Iowa Renewable Energy Investments Group. To maintain the project schedule, ACI Mechanical fabricated spool sections and control valve assemblies at our shop and shipped to the jobsite. The prefabricated sections allowed ACI to keep pace with the fast track construction schedule. 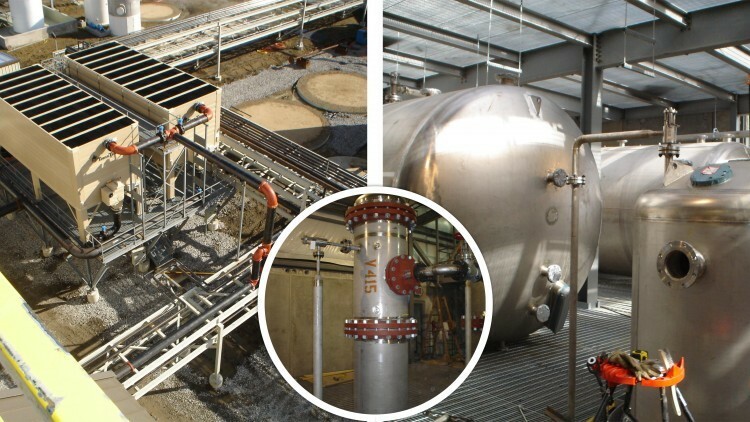 Completing the installation ahead of schedule and allowing for very successful plant start-up. The Iowa Renewable Energy project is the 5th biodiesel plant to be constructed in Iowa and is part of a very young and dynamic industry. The production process is ever evolving which led to several midstream design changes during the construction of this project. To support construction, ACI Mechanical established a field office for our project superintendent and field engineer to work with owner on production improvements and for tracking deliveries and construction.